The most anticipated summertime festival in The Bahamas! Saturday July 1, 15, 22 & 29 from 12:00 p.m. – Midnight. Five exciting days of non-stop Junkanoo rhythm and competitions - It's a street party complete with music, culture, food & fun for the entire family. 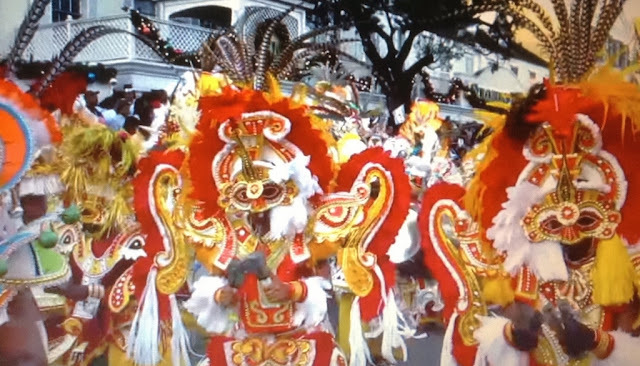 Junkanoo Summer Festival is a street festival complete with music, culture, food & fun for the entire family. The Major Junkanoo groups will leave the shacks and march to Arawak Cay, West Bay Street for a spectacular, fun-filled rhythmic cultural competition. Date: July 1st and July 22nd, 2017 Venue: Bimini Craft Center/Old Administrator’s Residence Time: 4:00 p.m. – 10:00 p.m. Date: July 1st and July 22nd, 2017 Venue: Great Harbour Cay Marina Time: 6:00 p.m. – 11:00 p.m.
July 29th 2017 Venue: Seaview Park, Nicholl’s Town,North Andros Time: 5:00 p.m. 1:00 a.m. Long Island Goombay Summer Festival Date: August 19th, 2017 Venue: Cultural site Time: 2:00 p.m. – 11:00 p.m.
More details on Junkanoo, along with Goombay Summer Festivals in the Out Islands, Travel Deals and much more.